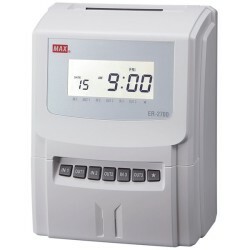 The Max ER-2700 is an advanced calculating time recorder for up to 130 employees. 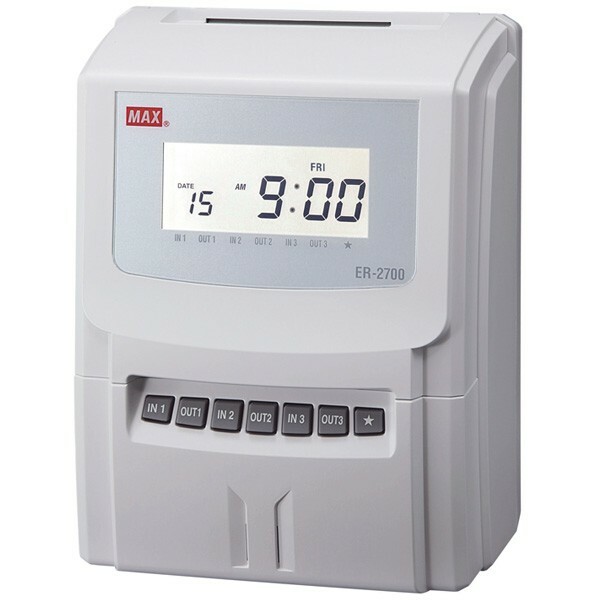 The Max ER-2700 does more than calculate the hours your employees work. 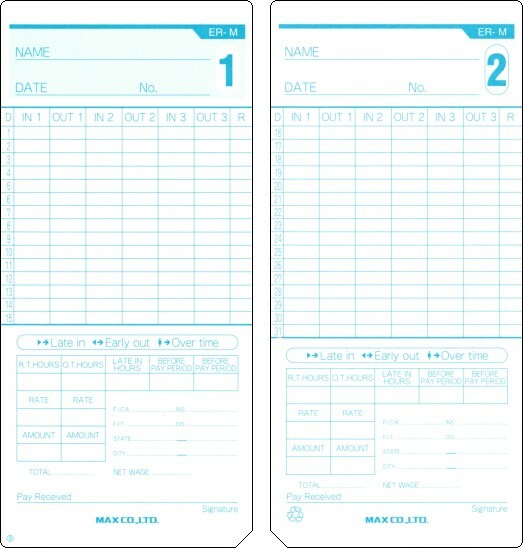 It can print easy to read symbols to annunciate late arrival, early departure and overtime, to help you spot irregularities. With up to 6 columns for clock-ins, clock-outs, calculated time totals and accumulated hours, the Max ER-2700 is a powerful tool for small businesses. With flexibility such as two-colour printing and external signal option as standard, the Max ER-2700 is ideal for businesses with approximately 100 employees. For workplaces with more than 100 employees we recommend one of our computer based time and attendance packages. 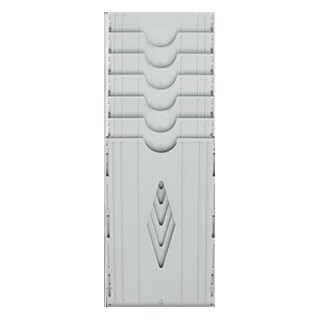 Currently available as a package including 200 weekly payroll time cards and a 25 slot time card rack.